And now you might wonder why oh why was all this mess needed... Well it is pretty but compaired to the huge mess pretty small, a fabric flower. This is a very very and beautiful flower. You and your mother are so creative. 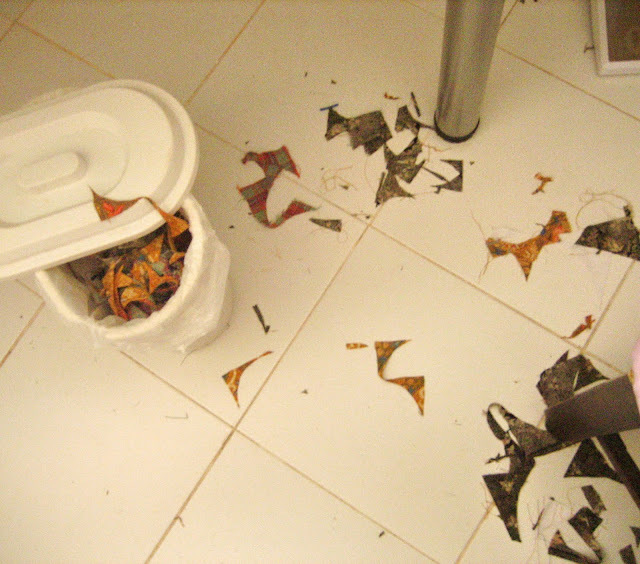 Never mind the mess, it is part of it. We all are familiar with such a scene! LOL! 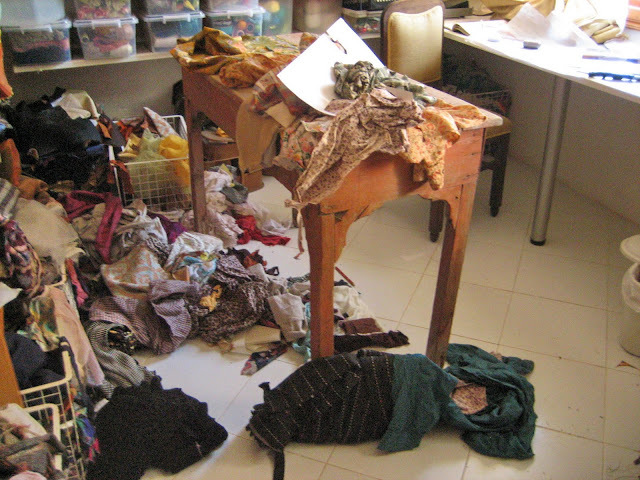 It looks JUST like my place when I am sewing dolls, except my place is even messier!!! 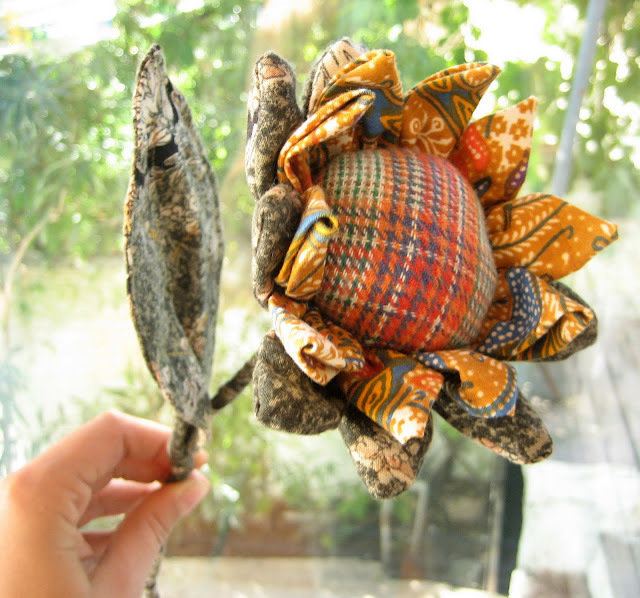 The fabric flower so so pretty, definitely worth the mess! The result is wonderful, though! It looks so familiar :) Love the flower, it's gorgeous! Hihihihi! Thank you so much for sharing! Warm regards to your mom! Out of the "mess" of creation bloomed a magic flower! :) You have alot of space. In fact, the messier the place is, the more innovative you get. Beauty I must say for your flower! LOOOL! 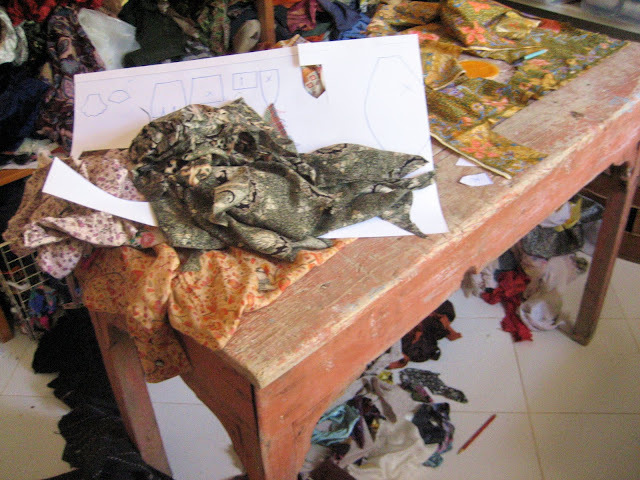 thanks for showing your mess, it really relaxes me to see that I am not the only one who is surrounded by hundreds of scraps! Creativity has it's neccessities--and this gorgeous blossum was well worth it! Why care about the mess when the result is so wonderful :) The flower is gorgeous! The mess was worth the result - lovely! 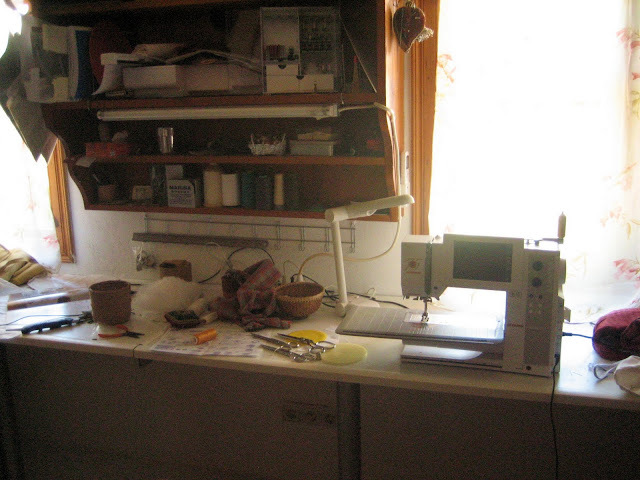 That looks like my work area, but mine is worse! What a beautiful flower came out of it though!!! Oh my! I don't envy the cleaning up, but that flower is surely worth it! That is such a fun way to use up all the odds and ends! Thank you for sharing! Now I'm feeling better: I'm not the only one with this problem!! i love the result ...some genius can only work in chaos !!!! i want that flower !!! Mess belongs to the process, literally:) You should see my studio sometime, ha.